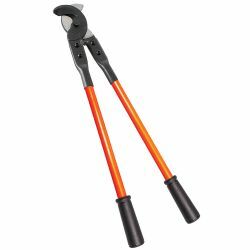 These patented Chance conductor cutters (C4032979) are half the size and weight of standard ratchet cutters. Two styles of the compact cutters ratings match a wide range of overhead and underground conductors. They can get into such confining workspace as manholes and handholes. In practice, they open in less than half the space required for long-handled ratcheting cutters. 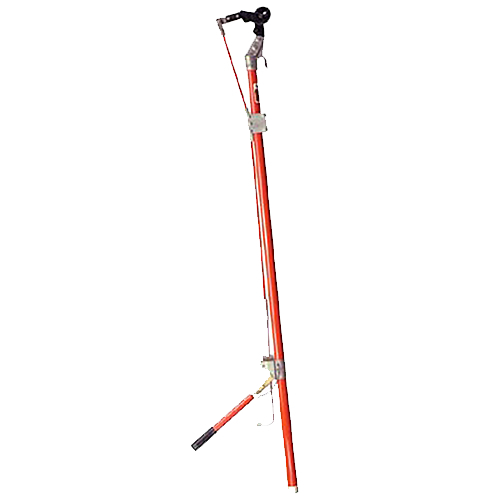 Their small size also saves on toolbox and warehouse storage. 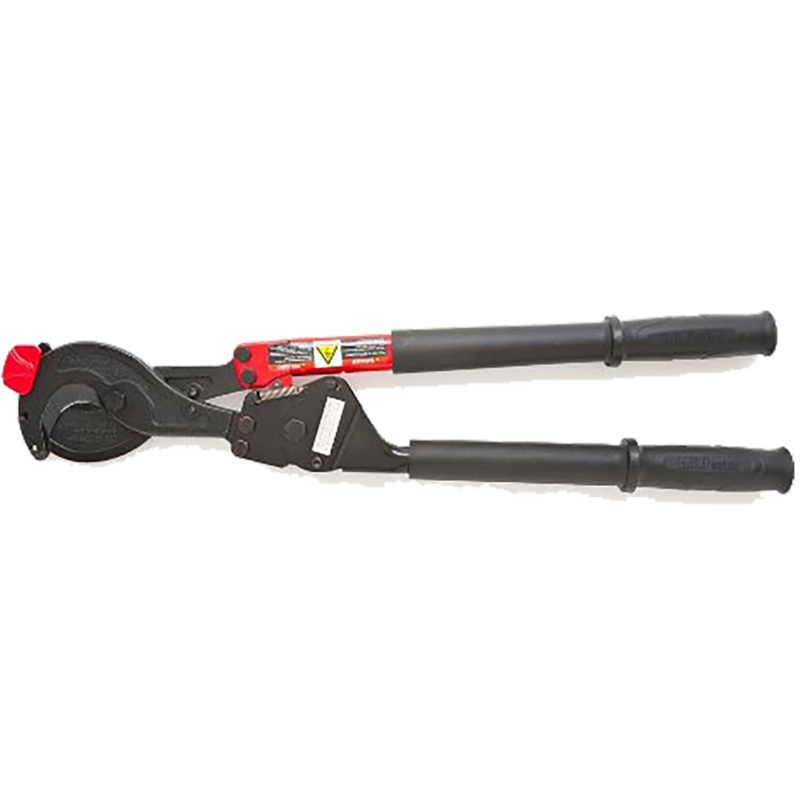 To give long service life, the design of these compact cutters is based on a simple ratchet mechanism. Simple controls and sure ratcheting action makes working with them easy. C-type jaws are heat-treated for lasting strength and sharpness. Stampings on the jaws indicate application limits. Despite their small size, they are built to take punishing field conditions. 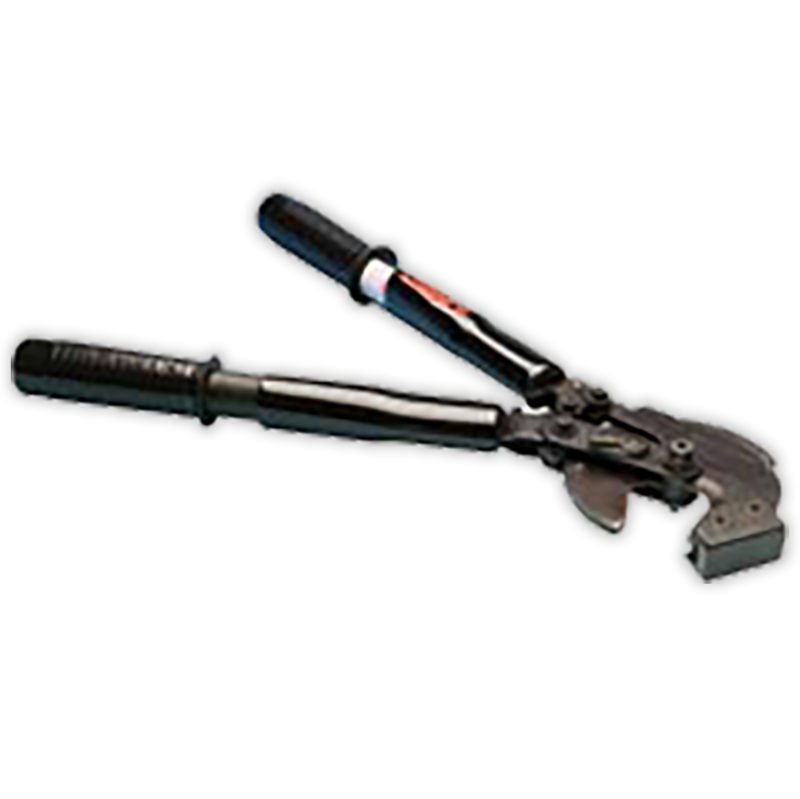 The reinforced-fiberglass handles are PVCcoated and protected by a vinyl sleeve. 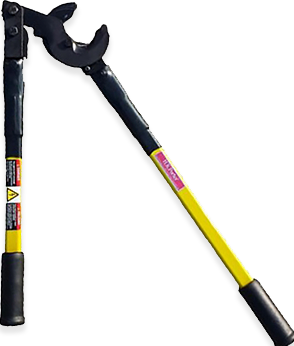 Thick vinyl grips shield the handle ends and help worker keep a steady grasp. Single lever allows easy switching of direction. For rapid opening or closing, pushing thumb slide toward head allows handles to open wider. Not for use when cutting, this feature nearly doubles the speed of the cutter. For shorter, more powerful strokes while cutting conductor, release thumb slide. 1000 MCM A.A. / Cu.